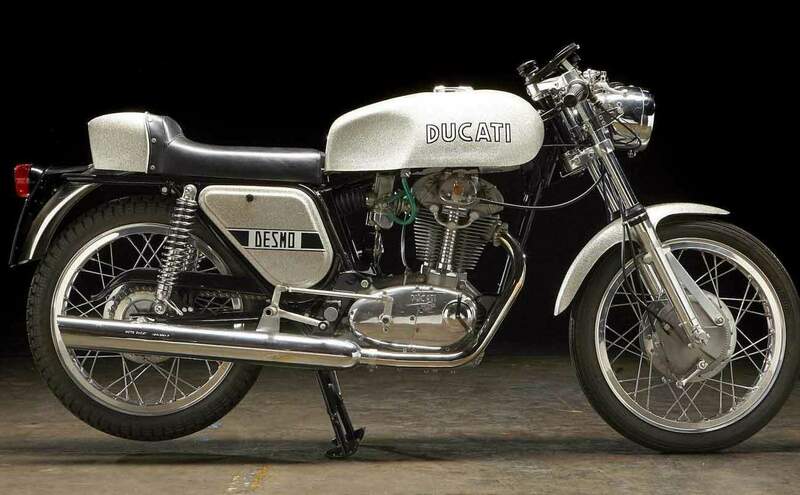 certainly true of the 450 Desmo Ducati of 1973 which can trace some elements of its bloodline all the way back to Ducati's 125cc GP racer which made its debut in 1956. That a 436cc road bike and a tiny Grand Prix racer should be so closely linked is easily explained. Both bikes were the products of Ing. Fablio Taglioni who joined Ducati in 1954. Taglioni's big idea was to control valve float by having the valves positively opened and closed without using conventional springs. In the case of the 125 GP bikes, two camshafts were employed - one to open the valve and the other to close it. This allowed the little racer to run reliably to over 14,000 rpm. In various forms, this is the immortal desmodromic system still in use by Ducati even in the present day. Desmo engines were capable of sustained high rpm and thus could be made with a very short stroke. 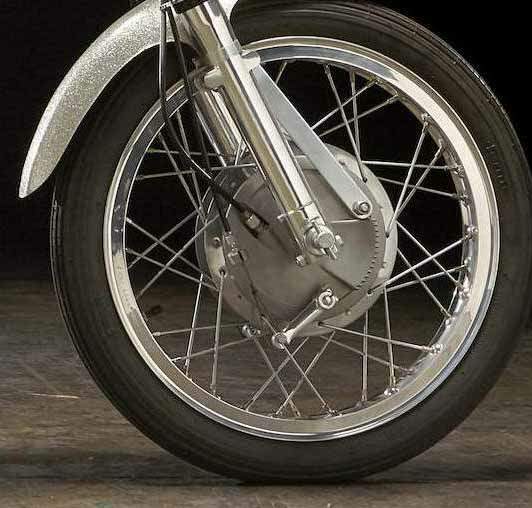 The camshafts were opened and closed by means of a bevel drive - the same as a Manx Norton - which required extremely accurate engineering on the part of the manufacturer and meticulous oil changes by the owner. 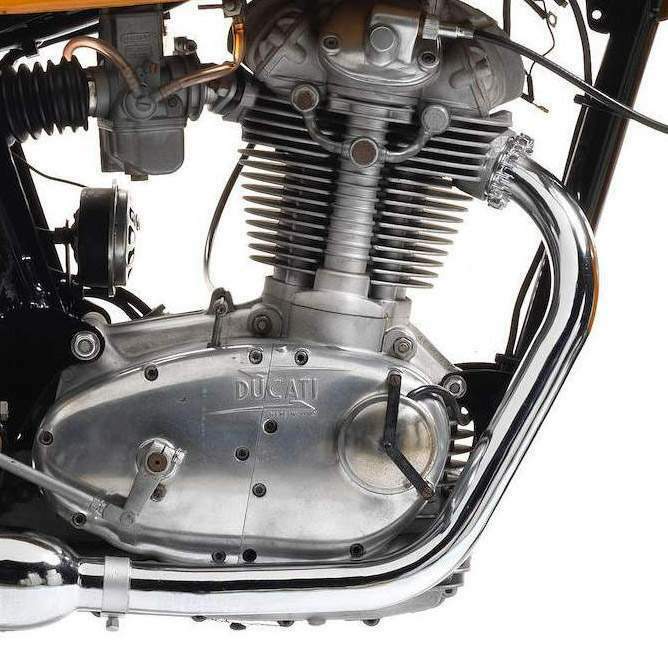 Extensively re-equipped by the Italian government after the Second World War, Ducati were probably the only European factory capable of mass producing a bevel gear engine. The 450's early ancestors appeared as 175cc models in 1957 and the desmos eleven years later. 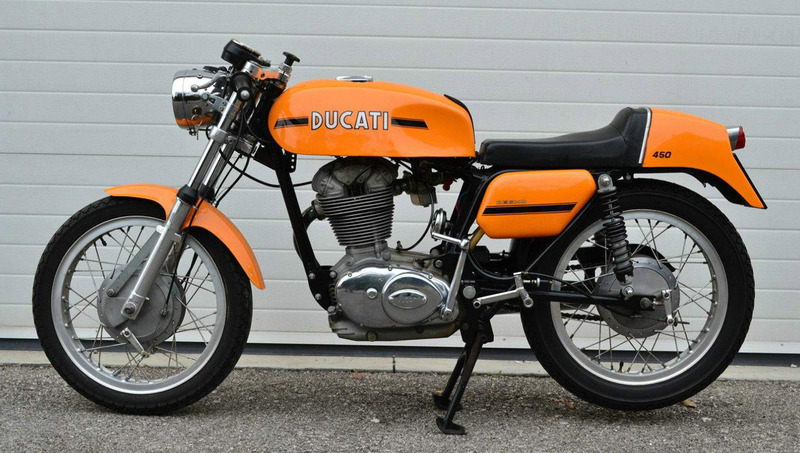 By the time the 450 was launched in 1969 the Ducati singles had their reputations firmly established. On the positive side, the bikes handled beautifully thanks to the work of Ducati development rider, mechanic and racer, Franco Farne. Legend has it that Farne would take the Ducatis into the Marche mountains to the west of Ducati's Bologna factory and ensure that they handled and steered as well as any road bike in the world. The downside was that the finish on the Ducatis was truly grim. Paintwork was shoddy, chrome dire and the electrics much worse than the Japanese opposition. Even so, with the magnificent desmo engine dominating the lithe, athletic chassis the 450 was a delight to any motorcyclist with red blood in his veins. That blood certainly needed to be red because starting a 450 was an acquired knack. The kickstart - forget effete sops to modernity like the electric start offered by Japanese contemporaries - is on the left hand side of the engine and requires advanced yoga skills to operate easily. Of course, like all sporting singles, the initiated can fire up a 450 with one half-hearted kick, whilst blindfolded and juggling flaming torches. For the rest of the biking world, the task is considerably harder. 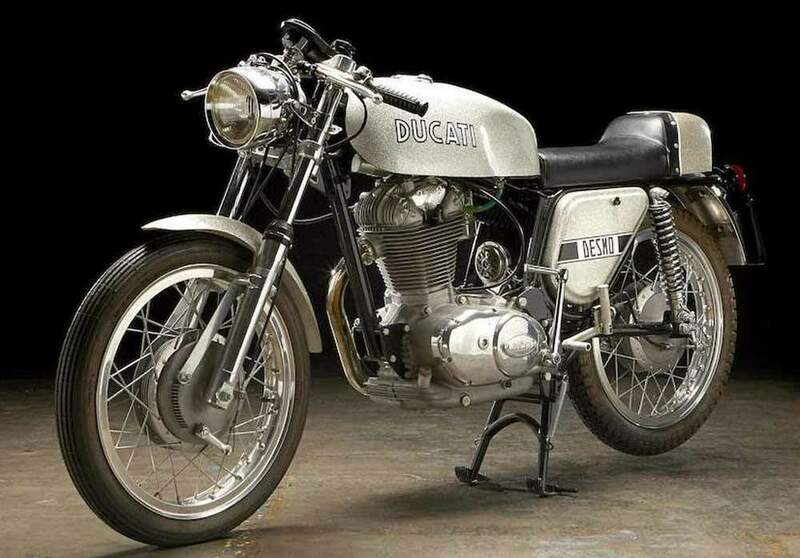 Earlier Ducati singles had a reputation for fragility, particularly in terms of the big-end which did not take kindly to being plonked around in high gears under load. However, by the time 450 had arrived, with its wider and stronger crankcases and much increased big-end bearing size, the biggest of the desmos was more user friendly. In fact, the challenges the bike poses in terms of starting only adds to the charisma of what is truly one of the great sporting singles of all time - a worthy companion to such icons as the BSA Gold Star and Velocette Venom. And, like its British cousins, the 450 has become an established star in classic racing - especially in Spain where Mototrans manufactured, Ducati-powered machines are particularly plentiful. The crackle of the lightly silenced desmo engine bouncing off the hedgerows as the 450 slices through bends with the precision of a surgeon's scalpel is still one of the great experiences of motorcycling. With stunning good looks, and much improved reliability due to modern oils, the Ducati ought to be more highly rated in terms of price. That the 450 isn't expensive makes it one of the great bargains in the classic bike world.